Once a user visits the compromised site the user is redirected to both the Neutrino and Angler EK landing pages. Both exploit kits enforce sophisticated capabilities that evade detection, thwart analysis and deliver reliable exploits . First, the client IP address is profiled in order to filter out systems that do not meet the requirements. Then it follows a series of events with the goal to find un-patched browsers and applications that permit the EK to exploit client side vulnerabilities to deliver a malicious payload. On one hand the Neutrino facilitates the delivery of the Locky ransomware. On the other hand Angler facilitates the delivery of the TeslaCrypt ransomware. Both EK’s follow the same strategy – Deliver malicious Adobe Flash files that act as facilitator to carry different exploits. In this particular case, Neutrino is the first to be executed. When the user gets redirected to the landing page a small HTML page with an object tag defined in its body is delivered. This object tag directs the browser to load the first stage Flash file . The first stage Flash file is then loaded and a decryption routine occurs at runtime that loads another Flash file. This file is used as wrapper for the multiple exploits and contains ActionScript3 code that verifies if the properties of the system environment are the right ones. The below picture shows the decompiled ActionScript3 code of the second stage Flash file. On the right side the different environmental checks performed by code. If the conditions are met then the environment is fingerprinted in order to determine which vulnerability to exploit. On the left side of the above picture you can see the different wrappers that contains 5 different exploits. Then is a matter of code execution. In the below picture we can see Neutrino exploiting CVE-2015-0016 and invoking wscript.exe to download an encrypted payload which in this case is the new ransomware called Locky . Following that, the malicious code verifies the presence of different antivirus and virtualization software . If any of the checks perform return positive then the code will stop the infection process. If that is not the case a malicious Adobe Flash file is downloaded. Just like Neutrino, the malicious Adobe Flash file acts as a facilitator. The first stage Flash file is loaded and a decryption routine occurs at runtime that loads another Flash file. This file is used as wrapper for the multiple exploits that Angler supports . If the victim system is vulnerable then the exploit code is executed and shellcode will instruct the operating system to download the malware in an encrypted fashion. The payload is then, decrypted and launched . Angler has the particularity to allow fileless infections which means the malicious code is never written to disk and stays in memory. This makes it difficult to detect and analyse. When the malicious payload is launched the victim will be promted with UAC dialog box if does not have admin rights asking for the Administrator password. If the password is entered, the executable is launched and the system gets infected with TeslaCrypt. In this head to head battle for resources and against the infamous Angler, Neutrino seems to be faster and wins! As illustrated in the below picture when Angler is prompting the user for admin credentials Neutrino already infected the system and display the new locky ransom note (see behind the UAC prompt). 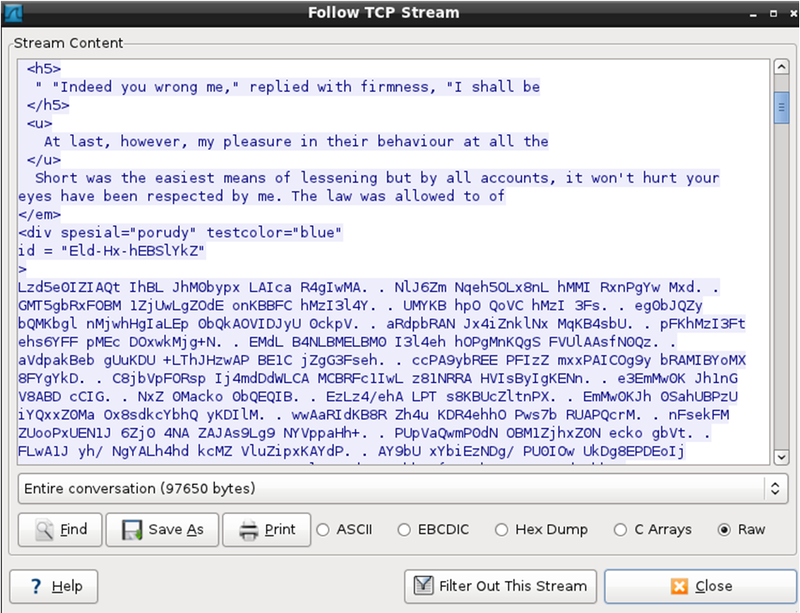 For security enthusiasts, I uploaded the ExploitKitTurfWars.pcap file to Virus Total. This will allow one to practice and improve their ability to determine the actions which have taken place and understand all kinds of artifacts which occur within this interesting scenario. Might be interesting to find why in this case Neutrino is more effective. Practice these kind of skills and share your experiences! Against these sophisticated threats there is no silver bullet. General mitigations against malware threats are provided by US-CERT here. Because Exploit Kits rely heavily on client side exploits, it is important to keep browsers, operating systems and applications updated. In addition, for home users the usage of Microsoft EMET and non-admin account is a must.